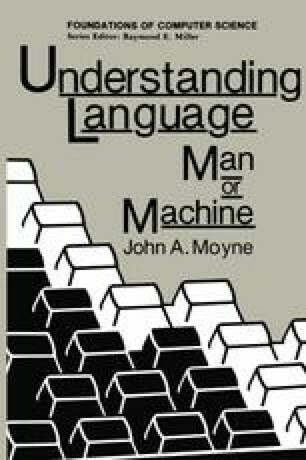 Study of formal languages and automata theory is a prerequisite for much of the material covered in this text. In this chapter, I will give a survey which is adequate for our purposes. The literature in the field is, however, extensive and the interested reader can gain a much deeper understanding of the topics discussed in this survey by studying some of the references cited at the end of this chapter, particularly Hopcroft and Ullman (1979) and Aho and Ullman (1972–73).